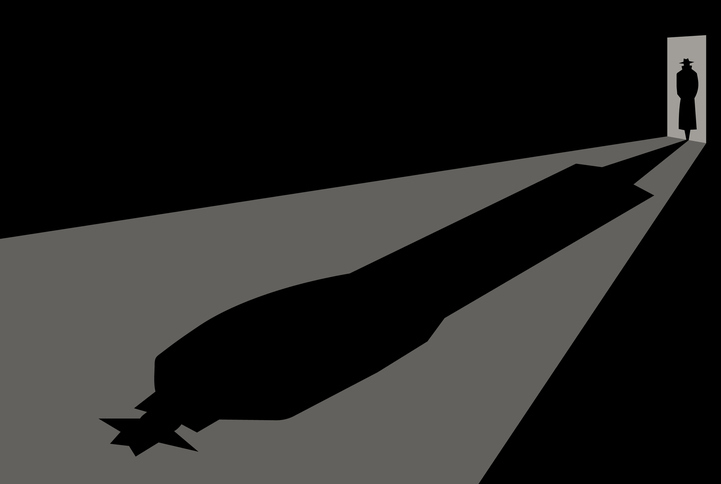 A shadow is a dark image on a surface made by an object blocking light. I have a very long shadow in the early morning. The shadow of the skyscraper blocked the sun. A shadow is also a hint or a trace. The jury found the man guilty beyond the shadow of a doubt. The teenage boy has a shadow of a mustache. The man shadowed his wife to find out where she went every afternoon. Shadowboxing is a boxing training technique in which one boxer punches the air, as if he is fighting with his shadow. Watch Muhammad Ali shadowbox in this video. What We Do in the Shadows is a mockumentary film (a fake documentary) about the home life a four vampires. Watch the trailer. There are other meanings of shadow.